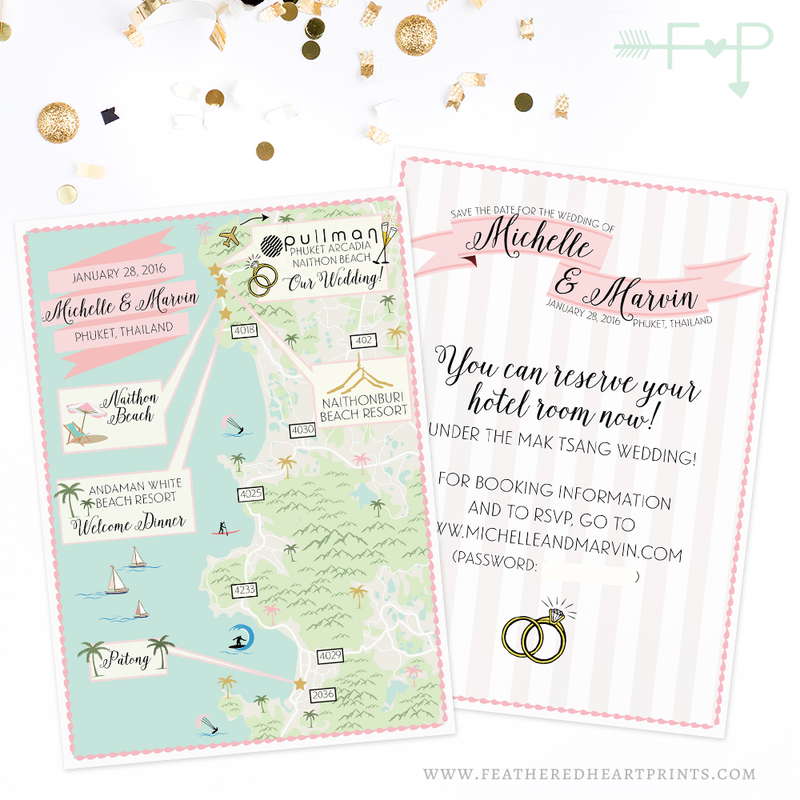 Do you have out of town guests coming to attend your wedding? Do they need to know where to be, what to do, and where all the cool sites to see are? 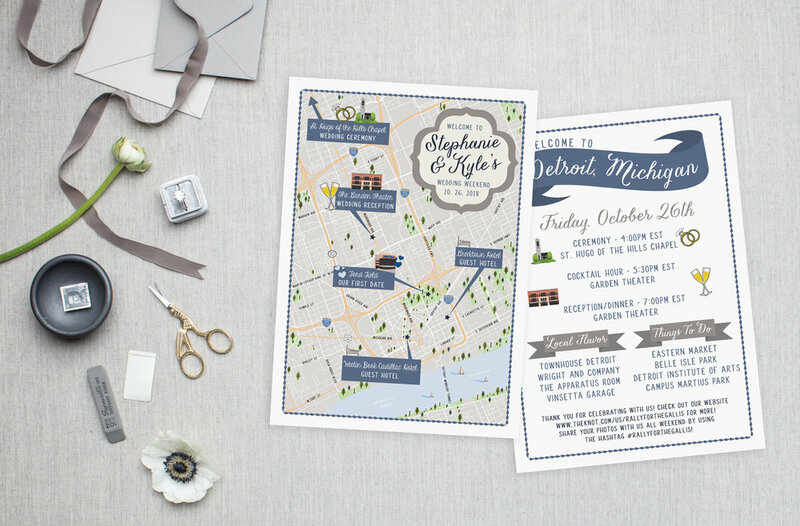 Do you want an awesome keepsake to remember all of your wedding weekend events? 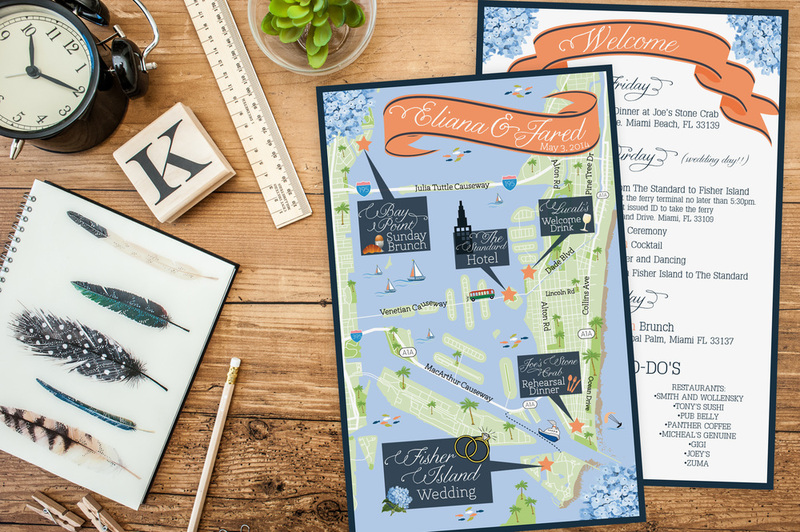 If you answered yes to the above, which I'm pretty sure you did, then these custom maps are made just for you, literally! 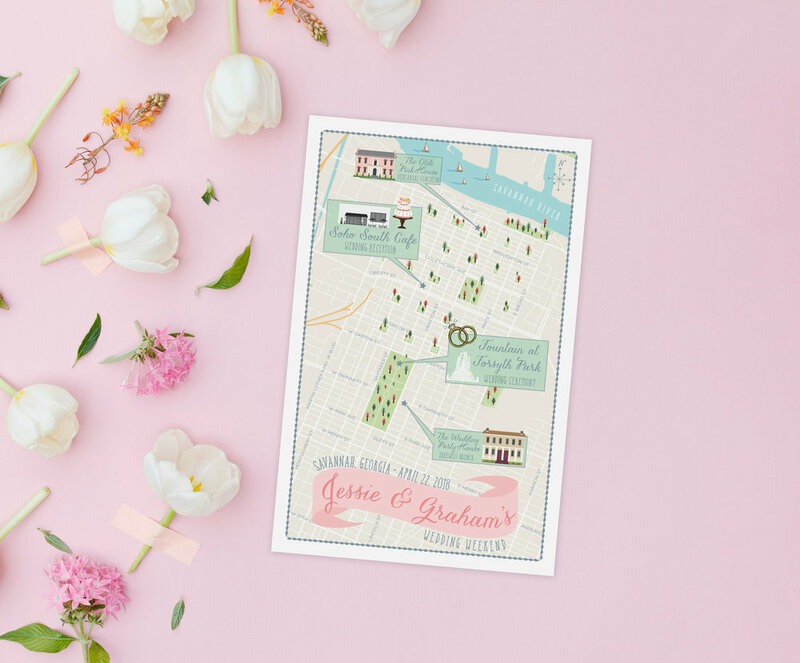 A custom wedding map is the PERFECT addition to your wedding invitation suite or for use in your guests out of town bags! 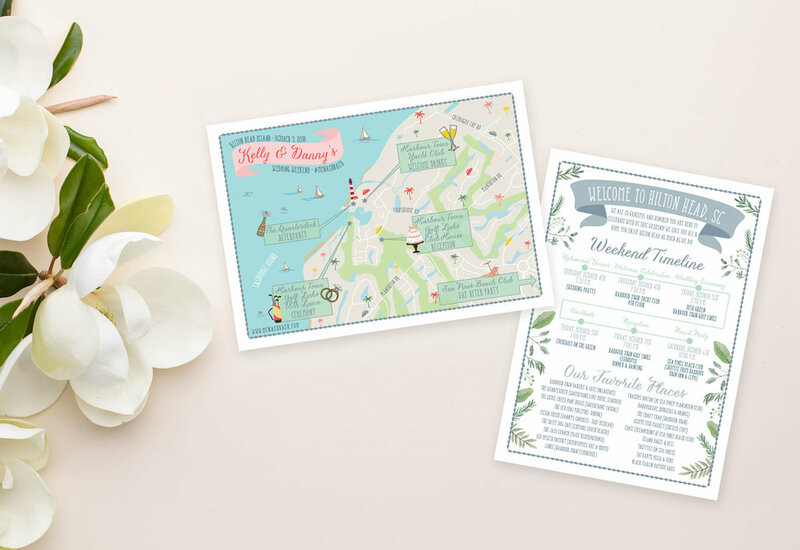 It also makes a super adorable save the date card for destination weddings, just saying! 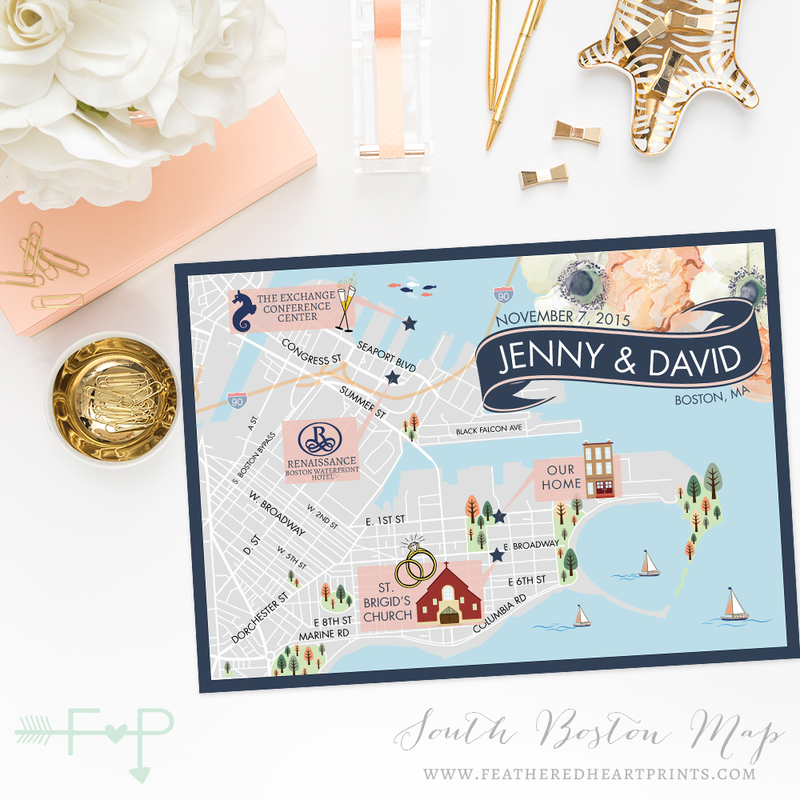 Not only is it a great way to show your guests where and when everything will be happening during your wedding weekend, but it can be a cute way to show your style and personality while accenting your wedding invitation and rsvp cards. 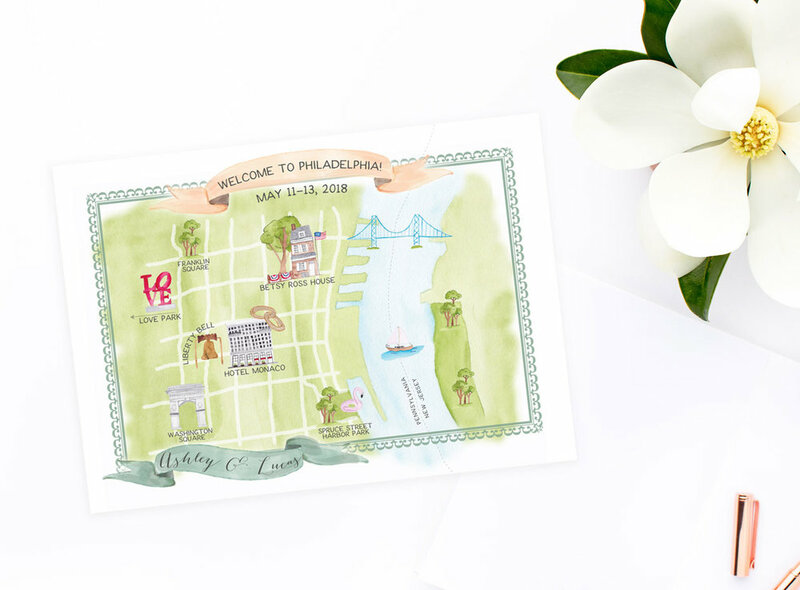 You can add an itinerary or directions on the back of your custom wedding map design or make your custom map into a save the date post card! It's all up to you! ♥ Custom Map Design! Your map will be designed completely custom to suit your locations, map size, and preferences. ♥ Up to 10 locations or landmarks to be highlighted on the map. ♥ All wording can be to your liking as well! ♥ Up to 5 locations or landmarks to be highlighted on the map. The first step is to fill out the form below to let us know you are interested in working on a custom map design! Enter all the details you can and we will contact you within 2 business days to get you a quote. Once we have the basic details squared away, we will send you an official invoice and contract to get started. For custom maps a 50% retainer is due to get started. 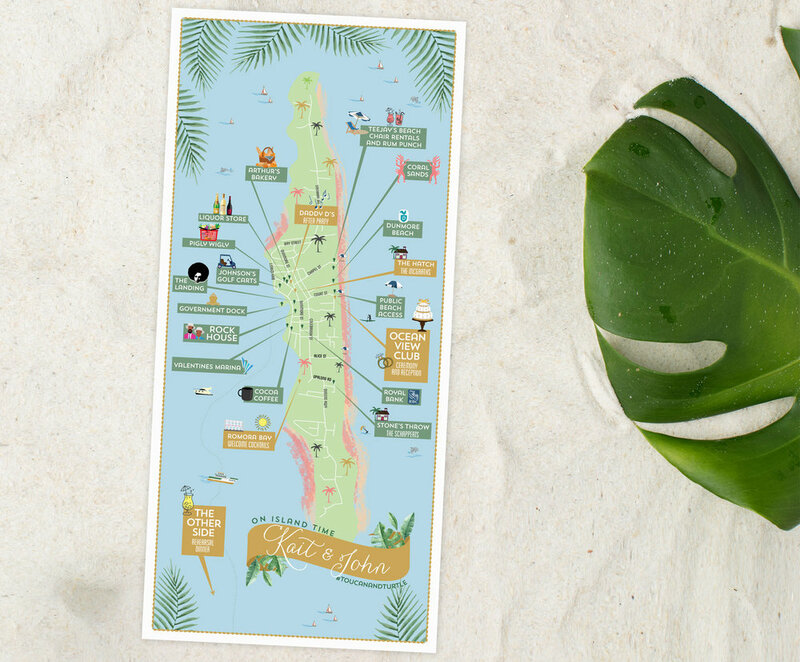 The remaining 50% will be due once we have completed the map, prior to printing. 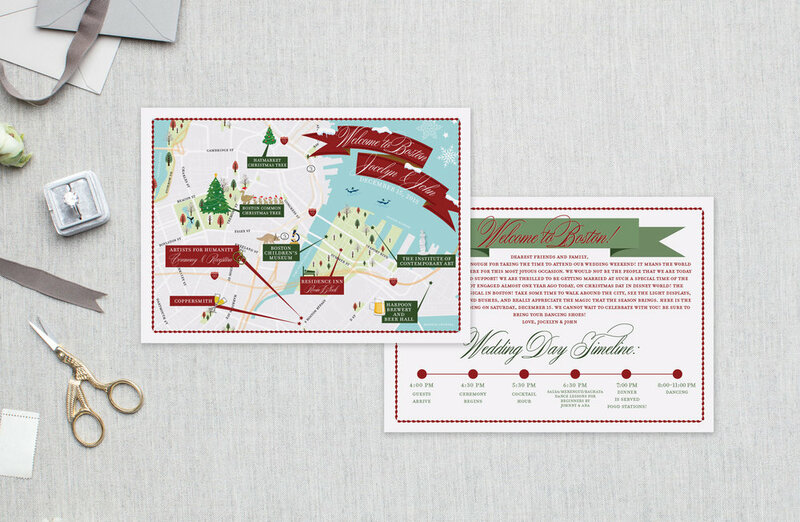 Then the fun part starts and I will gather all your details including: wording, names, colors, locations etc. Don't worry I have easy to fill out forms for you to that make the process simple and quick! Once I have all that information, I get to work creating your custom map. Your first proof will be created within about one month. (unless we've included a rush). I will email you the proofs to review and you can request changes from there if needed. Up to 5 rounds of changes are included. Once you give us the "YES! LET'S PRINT!" go ahead and pay the balance, we get to printing and shipping! Once they arrive you can then initiate custom map happiness dance party... or not, that's totally up to you! Please fill out the form below to inquire about getting started on your custom maps!